June of 1967 marked the beginning of the Summer of Love in San Francisco. The city’s psychedelic scene was in full force and created a zeitgeist of music, art and attitude that’s been fabled in the American patchwork. This aesthetic had its greatest reach through the stylized concert posters commissioned by the legendary promoter Bill Graham for his shows at the Fillmore Auditorium. After falling out with artist Wes Wilson, Graham enlisted his wife, artist Bonnie MacLean to take over as designer. MacLean went on to create around 30 posters between 1967 and 1970 for bands like Jefferson Airplane, The Doors and Pink Floyd. Her style was more figurative than the other poster designers, imbibing the romance of the female form or gaze. MacLean would also invoke motifs from other cultures, be it Polynesian, American Indian, or Medieval Europe. The Monterrey Pop Festival was a watershed moment during the Summer of Love. Performances by Jimi Hendrix, Janis Joplin and The Who were legendary, establishing them in the pantheon of rock stardom. The Who were on their first trip to the West Coast and Bill Graham booked the UK import at the Fillmore on June 16th and 17th, creating buzz for their Sunday night gig at Monterrey Pop. One can imagine the mayhem of Pete Townsend guitar thrashing that ensued for three nights on this eager American audience! Bonnie MacLean immortalized the coming of The Who with her own pantheon of British characters, reminiscent of the knights of Arthurian legend. 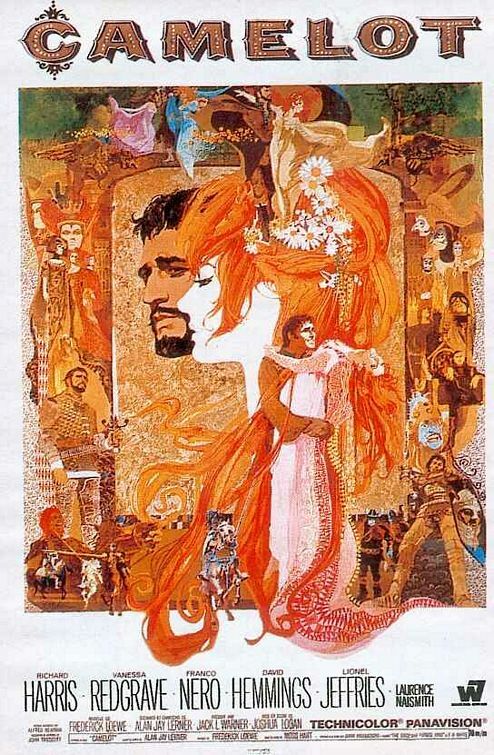 Circling the rim of this horn of plenty, each face morphs and flows into the other and even calls to mind the artwork for the film version of Lerner and Lowe’s Camelot which also debuted that year. The summer of ’67 really was a lovely one indeed. Poster: From England / The Who..., 1967. Designed by Bonnie MacLean. Gift of Mr. and Mrs. Leslie J. Schreyer. 1979-34-10.